Looking for that perfect wellness retreat? Here are the best Spa Hotels in the US for a spa vacation unlike any other. Everyone deserves a little pampering and a retreat from the daily grind. 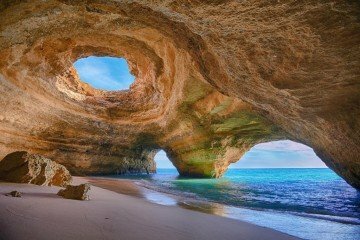 Pick from the best spa hotels to give yourself a unique break and take a relaxing spa vacation in the mountains or desert or even by the sea! With 83 studios and 6 suites, Solage, an Auberge Resort, offers the perfect environment to enjoy California weather. Everything you need can be found within the resort, but Napa is still a big part of the experience. In fact, each studio comes with 2 complementary rental bikes allowing for unlimited exploration. Within the gates, Solage’s main attractions are the 130 foot landmarked pool, a geothermal water bathhouse, and 2 full-sized bocce courts. Finally electric car charging station put an eco-friendly twist on the entire vacation package. Click the link below for easy booking. Family operated and owned since its inception in 1930, Mirror Lake Inn Resort & Spa offers a beautiful and refreshing getaway in northern New York. The expansive resort features 2 pools, one indoor one outdoor, as well as complementary boats, kayaks, and canoes for touring the adjacent lake. If you’d rather swim, a private beach with mountain views is at your disposal. Being in New York, the resort also features a multitude of cold-weather activities such as ice skating and cross-country skiing. After all Lake Placid is the only town to have hosted the winter olympics twice. An embodiment of the American west, the Broadmoor combines European architecture with Colorado’s diverse landscapes. Start your day at Broadmoor Outfitters, which will get you all the gear you need. Then tennis, swimming, or golf, followed by a trip to a few of the 26 on-site Broadmoor specialty shops. Then in the surrounding wilderness, explore Colorado via zip line, or perhaps the Pikes Peak Cog Railway. The Broadmoor is like a little town. But this doesn’t at all prevent tourists from making the most of their time in Colorado. Perfectly placed amongst the Arizona landscape, Sanctuary Camelback Mountain offers a place of relaxation, peace, and healthy vibes. With terrific 360° views, the resort mimics an oasis of great food, great company, and a world class spa. To start, Food Network celebrity chef Beau Macmillan is the executive chef. At the spa, unique Asian-inspired treatments such as Thai Massage and Zen Shiatsu help visitors feel great and rejuvenated. Lastly unique methods of exercise such as paddle board yoga are available to everyone who wants a scenic and unconventional workout. Located at one of the most southern points in the U.S, Ocean Key Resort sure knows how to take advantage of balmy weather. Here, where water is all around, the best activities are sailing, fishing, and perhaps even seaplane-ing. If your looking for a slower tempo, legendary beaches expand as far as the eye can see. Ocean Key Resort does an excellent job of incorporating the offerings of Key West and beyond. In fact, those feeling especially adventurous can hop on a 50-minute flight to Havana for an unforgettable day trip. Another Lake Placid establishment, The Whiteface Lodge is about as authentic to the Adirondacks as they come. Much of resort’s wood originates from on-site, and many of the rooms feature handcrafted furnishings. Despite the old-fashioned feel, Whiteface Lodge still boasts many comforts that especially cater to a family-focused trip. Always available are a 56 seat movie theater, a family game room, and a nightly campfire with S’mores galore. In addition seasonal amenities such as a skating rink, tennis courts, live music, and an ice cream parlor fill the resort’s calendar. From afar, one might not notice the Loews Ventana Canyon Resort. 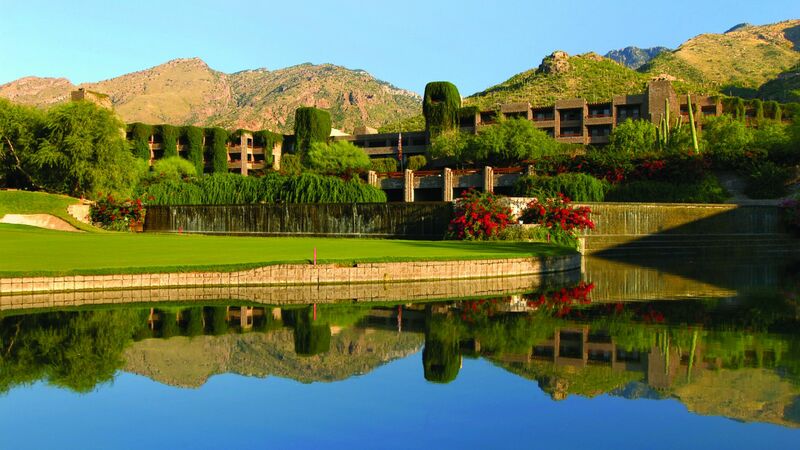 That’s because architect John Hill specifically designed the resort to blend in with the southern Arizona landscape. Most of the amenities here encourage guests to step outdoors and enjoy the sun. The resort features tennis courts as well as 2 18-hole golf courses designed specifically to integrate the surrounding desert. In addition a 1.1-mile fitness trail, and a koi pond are a mere stone’s throw away. Finally to finish the day, a program leader from the University of Arizona offers a telescope/stargazing session for those who haven’t yet retired to their rooms.